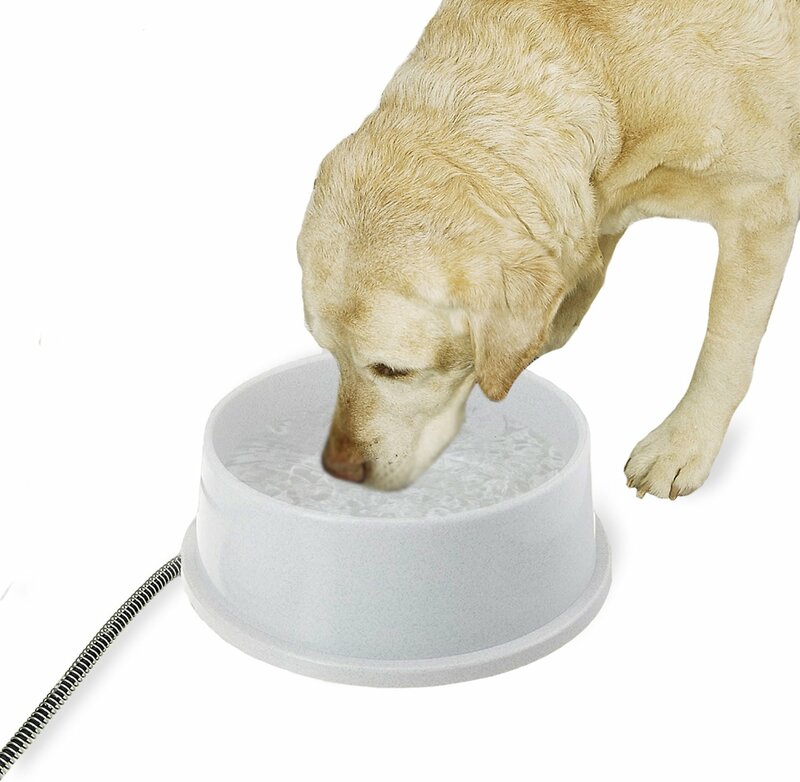 Help your pup keep his cool with this 1.5-gallon Thermal-Bowl from K&H Pet Products. 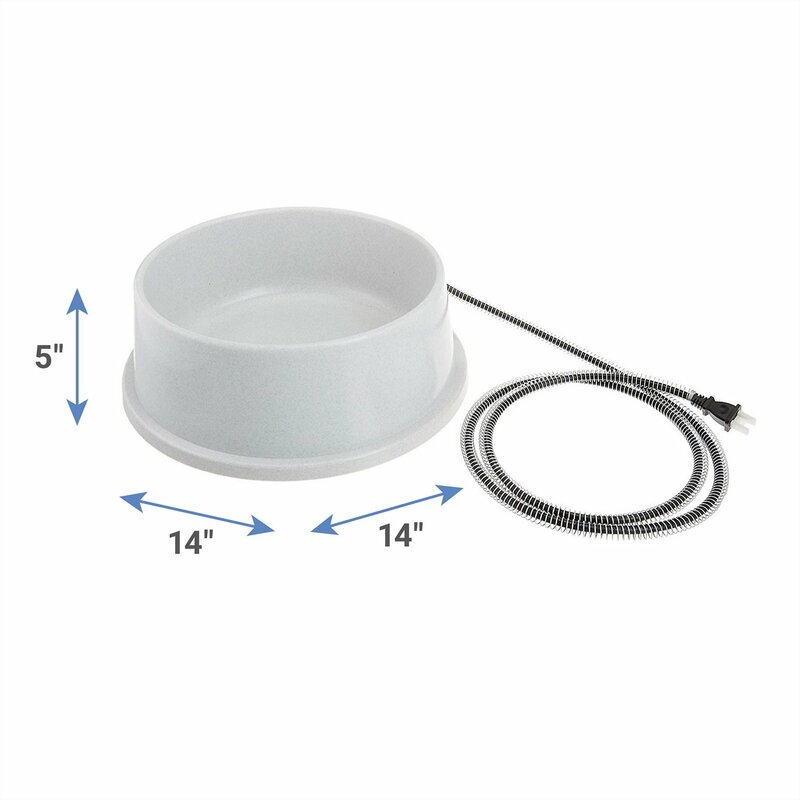 This thermostatically controlled bowl ensures that your furbaby has water in even the most extreme cold temperatures. Finally, you have an answer to those freezing water bowls. Just plug it in and your petʹs water will remain open all winter. All electronics are safely sealed inside and the cord is steel wrapped to prevent abrasion, too! So, your pup can stay hydrated and safe—all season long! Prevents drinking water from freezing even at sub-zero temperatures. Just plug it in and your pet's water will remain open all winter. Thermostatically controlled and extremely low power consumption. All electronics are safely sealed inside and the cord is steel wrapped to prevent abrasion and to deter chewing. Steel wrapped chew resistant chord is 5.5-feet long allowing for lots of range when placing the bowl. MET listed which means this product has been evaluated for safety by an approved independent lab in accordance with the national standard. 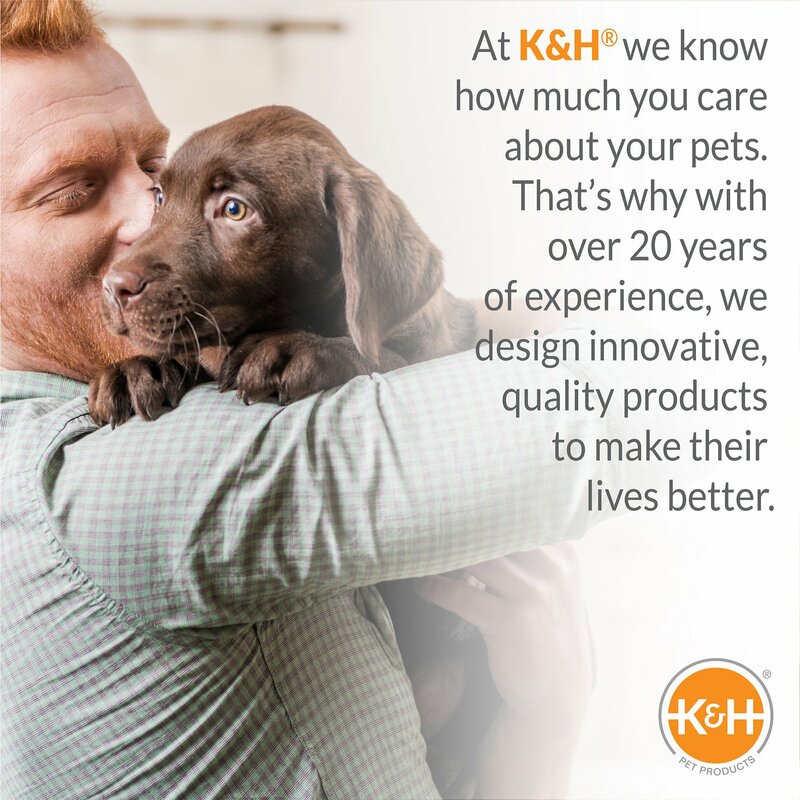 Check out the full line of K&H Thermal-Bowls and pick the paw-fect one for your pet! 1-Year Limited Warranty. The manufacturer's liability here under is limited to replacement of the product. This warranty is void if the product has been damaged by accident, unreasonable use, neglect, tampering, or other causes not arising from defects in material or workmanship. We actually bought this heated water bowl for our chickens to use. We used it all winter long and never had a problem with the water freezing. We love it and will most likely be buying another one next winter when we have more chickens. I needed a super big bowl like this one, to keep enough water available from freezing, for all the outside feral cats around the chicken house/yard and garage/workshop. This has been a wonderful solution to our regular problematic Winter season outdoor freezing water problems. Also this bowl arrived so very quickly and in time before our next freezing temp night. So far our temperature outside has only gotten down to the high teens. I check the water first thing in the morning and no ice. The bowl does attract wildlife, however. I don't mind letting them have a drink. I do wash the bowl every morning in case any them may be carrying any infectious diseases. This bowl couldn't have come at a better time. During the Polar Vortex it kept water in liqud form and provided essential water for my 2 barn cats. Previous dish, which was identical, lasted 14 years before the heating element burned out. Bowl itself never cracked or chipped even with rough treatment from our dogs. Highly recommend. Like the large bowl and the white stays very clean and we have very low temps so NO freezing water. bought these as I live in western NY. They work great with our weather and not freezing. Would definitely recommend buying this product!